Everyone dreams of a perfect wedding. Weddings are all about food, party, gifts, and many more things. So, if you are going to attend an engagement party this year or if your friends just got engaged. We are here to help you find the perfect engagement gift for the happy couple. This wedding season, think something out of the box and present your lovely friends with something that they will cherish. 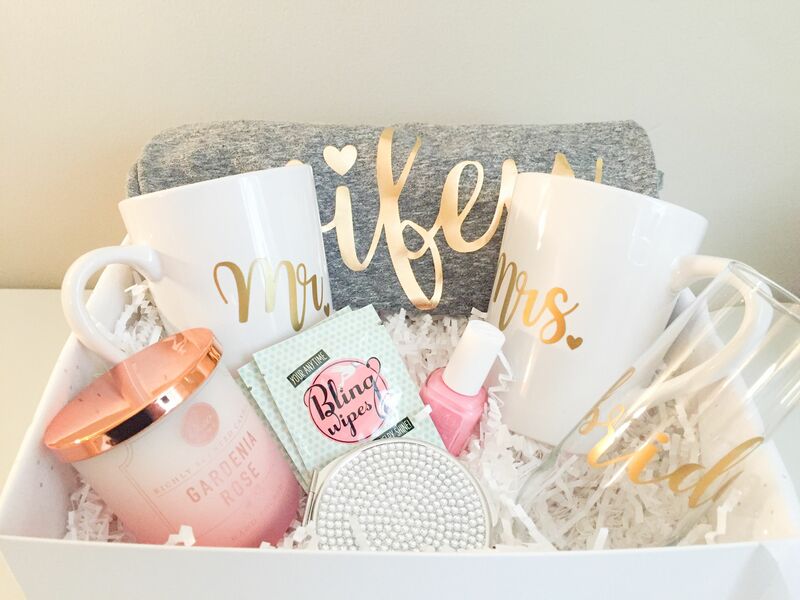 In this article, we have listed out the top gift ideas for newlywed couples. From very personalized gifts to must-haves kitchen utensils, these lists of fantastic engagement gifts are something they will love to have. And the best part is that all of them are budget-conscious. Please the couple’s sweet tooth and let them celebrate the excitement of their engagement. This set of three champagne-inspired gummies are the perfect gift for the bubbly couple. It includes three lucite cubes which are very sweet. The candies come in a shimmery gold foil keepsake box which reads “Cheers!” Get more sugary engagement gift ideas from the Cuddl. For the couples who want everything to be perfect for their wedding, they need a wedding agenda. So, to make the preparation smooth, gift them an ultimate wedding planner and organization. This planning binder is a complete package of etiquette, budget worksheets, checklists, calendars, and many more. This classic desert serving duo can add extra flavors to couple’s blissful future together. Gift them an elegant cake knife and pie server with which they can share their beautiful tomorrow. Choose a simple and enduring design. No bling, just the basics. Cake Server Sets is a perfect choice and will fit perfectly into any wedding idea. Among all, there will be at least one guest that will take with him a bottle of champagne – trust me. So, don’t make a very long road on selecting gifts for the to-be-wed couple. Get a classy champagne bucket to style their house bar. What’s better than sipping champagne? Entering the party hall with a date to chill with, while they pass the bottles around. New titles are ringing at the doors of the newly engaged couple. Offer them an elegant board for their kitchen or bar with their new nickname. This Mr. and Mrs. chopping board is a sleek option that will undoubtedly display the love. It comes in different shapes, you can choose from round, or rectangular, shaped board. Weddings are the perfect day to show your love to your close ones. Make something of your own to shower all your love into them. Create some small and colorful boxes, attach animal figurines to them. They can use these boxes to keep stuff, such as rings, earrings, cufflinks, etc. Give the couple a good start on their journey. Now, you have the list of fabulous gifts ideas, so you can choose the best that matches your vision. We recommend you to opt for cute, creative, fresh, and unique gifts for the happy couple.